PlayOn Desktop is a program that allows you to schedule the download of movies and tv shows during Sky Muster ‘off peak’ data times. It is relatively cheap and very simple to use, you don’t have to be very tech savvy and its an excellent way to utilise your off-peak data that often goes unused. You need an existing Netflix account or You Tube account to use PlayOn and a PC or laptop with Windows installed. Unfortunately PlayOn Desktop doesn’t work for Macs. BIRRR is currently researching the Play On Cloud app which works in a similar way on idevices, we will update when our research is done. 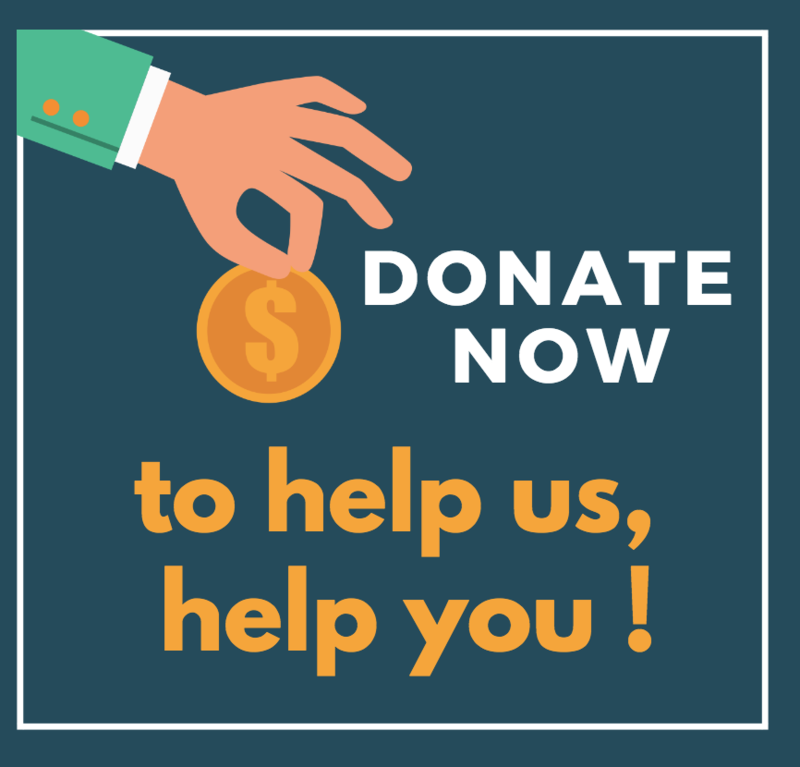 PlayOn costs $4.99 USD per month or $30 USD annually or you can pay a one off lifetime membership charge of $69.95 USD. Prices do change regularly so check out current pricing on the Playon Website. Look into downloading a limited time trial, if you want to test the software without the commitment. PlayOn charges are an additional cost on top of your Netflix subscription. (Netflix AUS costs $9.99 per month for the basic package, which allows you to stream or download Netflix on 1 screen at a time in Standard Definition). Other plans are available, however it is not ideal to download from more than one device on Sky Muster. You may want to ‘trial’ Netflix for free for a limited time first. You can set your Play-On to record and download videos as .MP4 files during Sky Muster off-peak times. PlayOn will start and end the recordings automatically. The recording works in a ‘streaming’ fashion. Meaning that if a movie is 3 hours long it will take 3 hours to record, and you can record up to 6 x 1 hour episodes of a TV series during your off-peak times. This means you can download up to 180 hours of movies and TV shows per month during your off peak time (subject to your data limits). This enables Netflix and You Tube to be more accessible to those on limited data connections. PlayOn records during normal times too so if you find yourself at the end of your billing period with some leftover peak data and not enough time to use it up you can use PlayOn to record shows during peak times as well to use your data effectively. How much data does it use? You can easily adjust the quality of your recordings (similar to adjusting the streaming quality on your Netflix account), which will reduce the amount of data that is used per recording. However, I find anything less than Medium quality to be unwatchable and if you have a decent sized tv then you may want to stick to a High quality download setting. Low Definition: reduced standard definition video quality, can use up to 300MB per hour. Medium Definition: standard definition(SD) video quality, can use up to 700MB per hour. High Definition: high definition(HD) video quality, can use up to 3GB per hour. Once you have downloaded your movies and TV shows there are multiple ways to watch them. You can use a streaming device (such as Chromecast) from your desktop, tablet or device. You can also put the files onto a USB or hard drive and plug that straight into your TV. If you have downloaded onto a laptop you can also use an HDMI to plug your computer directly into your TV. Mirroring apps (try Googling one that is compatible with your TV and device) are also an easy way to watch. PlayOn works really well the majority of the time. You can have issues where shows have not recorded properly or not at all (this can be from a minor Play-On glitch or a short Sky Muster outage or update). The program will flag the ones that failed to record overnight so you can add them to the queue to record next time. PlayOn is a US based company so doesn’t offer phone based support in Australia, however there is a ‘tech support’ button in PlayOn settings which details problems and glitches and how to fix them. PlayOn tech support can also be contacted via email. Choose which payment option you want. Follow the prompts as instructed. Once the PlayOn desktop program has downloaded go into settings and the ‘channels’ tab and enter your Netflix or YouTube logon and password details. In that same settings screen under the ‘General’ tab you can choose the quality of your download from HD to Low Quality as discussed above. Once this is set up you can go to the top right hand side of the screen and see an ‘off peak’ button. Click it to set up to record during off-peak times. You will need to enter your off-peak times in. PlayOn is very definite and only starts once the off-peak time has begun, it also won’t continue to record past the off-peak time you have set. e.g. If you have a 55 minute episode to record, but only 45 minutes of off-peak time remaining PlayOn will simply not record that episode (rather than record most of it or go over the specified time) and it will remain in the ‘Recording Queue’ until next time. Now the fun part. Click on the channels tab and choose the Netflix channel. Now you can choose whichever movies and tv shows you want to download. Once you have found what you want to record you will see the button on the far right of the show/episode description that says ‘record’. Click that and it will add it to your ‘Record Queue’ to be recorded during off-peak. You will have to click record for each episode of a series. Click on the ‘Record Queue’ button on the top right of the screen to see everything you have in your queue. You can change the record order etc from there if you want. Keep your computer turned on and connected to the internet overnight for the recordings to work (turn the volume down on the computer if you don’t want it annoying you through the night). You can see which recordings have downloaded successfully and which haven’t in the ‘new recordings’ and ‘failed recordings’ tabs on the left hand menu. Any ‘failed recordings’ you can just add to the ‘Record Queue’ again for next time and they will usually record successfully. If you continue to get failed recordings or have other problems go to the ‘Help’ button at the bottom left of the screen. Sometimes when you open the PlayOn program you will get a screen that says ‘Server can’t be found’. Simply click the ‘Open Settings’ button and you will see a ‘Start/Stop Server’ button on the right of your settings. Click it and wait for the box to become green and say ‘Running’ and you are good to go. This happens often and is due to settings that don’t start the server automatically (to save data). Refer to the How to Watch section above. You can open the PlayOn program to watch them, otherwise the recordings are also stored in a ‘Play-On’ folder in your Video files on your desktop. From that folder these can be transferred to a USB or hard-drive for viewing (and travel etc) if you want. Prepared for BIRRR by Sophie Parbury & Ben from SkyMesh. *Please note, while all care has been taken in compiling BIRRR documents, we recommend that you check with your service provider regarding your eligibility and best plans available. Page updated 25/10/18. BIRRR recommends that customers use the router offered by their provider; as this ensures ongoing support for both the service and your local network. Now is an ideal time and opportunity to discuss your evolving network needs with both your RSP and/ or trusted technical advisor. Before making changes, always talk to your provider and follow their advice. Your RSP will assist with any troubleshooting of the new Sky Muster connection. This support will work best if you are using the router models that they provide. Will my old router work on SKY MUSTER? Your existing WIFI router may be fine for Sky Muster; as long as it has a WAN port that provides Dynamic Host Configuration Protocol (DHCP). Note: 99% of ADSL routers are unsuitable for any nbn service. Even older 802.11g routers which first arrived in 2003, will work, although they may be slower. Should I upgrade my current router? It may be worthwhile upgrading your current router if it is old. Current routers can offer more features that may better serve your network requirements. (Discuss this with your RSP in conjunction with your trusted technical advisor). However, a new model router is unlikely to speed up your connection, unless your existing router is too old, faulty or poorly configured. New model routers also offer improved WIFI and may support both 2.4Ghz and 5Ghz WIFI bands. It is worth noting that 2.4Ghz generally provides better and wider coverage in a large home. If you ‘do a lot’ with your home network e.g it is connected to many devices, includes a media server and/or fast hard drives, printer(s), scanners etc; a newer router will speed up WIFI connections and data transfers within the network. Newer routers may offer faster LAN ports (1,000Mbps) and USB ports(s) that may support a USB printer and or a hard drive. These devices may then be accessed by anyone on the network. Refer to the router manufacturer website for specifications for further information. Any new router from your RSP or shop, will be supplied with a suitable Ethernet cable to connect the nbn NTD to your WIFI router. Do I have to get a router? If you want to connect more than one computer to your Sky Muster installation you will need WiFi and therefore you will need a router. 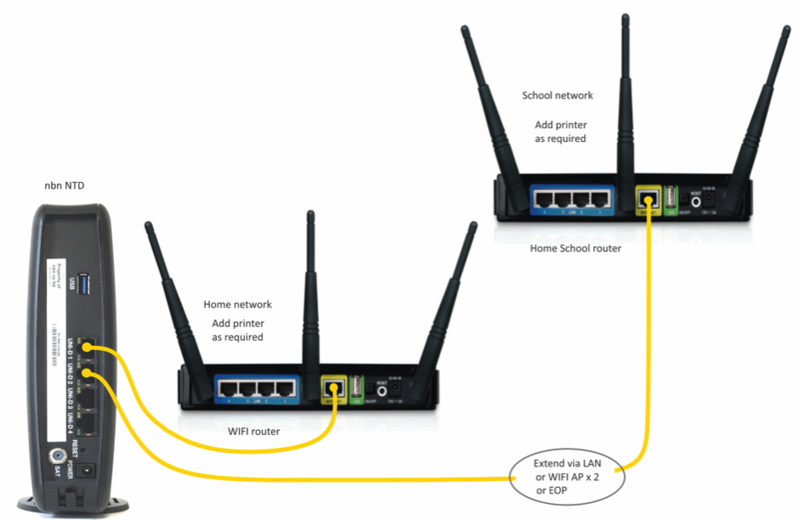 If you would prefer to LAN connect your devices (rather than WIFI), you can install a switch to accommodate the extra LAN ports. Your technical advisor can provide further information. Is there a router that can help me manage my data usage? It may be useful to install Gargoyle on your router. Gargoyle is a free router firmware that can be installed on certain routers. Gargoyle provides tools to both measure and conserve your precious monthly Sky Muster plan quota. It may sound complicated, but if you can perform a firmware upgrade on a router, you can install and run Gargoyle. Some providers configure their supplied routers before sending to the customer. This means they are ‘Plug and Play’ and use the DHCP protocol. Other Sky Muster providers use PPPOE protocol which means you will need to set up your router. You would need to have a username and password with PPPOE, while the configuration of DHCP is automatic. The following router information is provided by best endeavour. VoIP (Voice calls over the Internet) may be provided by the addition of an RSP provided Analogue Telephone Adapter (ATA). This is additional equipment, or a VoIP Compatible Router. NOTE: Some providers offer free or discounted routers, if customers sign up to a 12 or 24 month contract. Please refer to the Router Manufacturer for further specifics and information on the Router Capabilities. 300n (or 802.11n) are base model single WIFI band 2.4Ghz routers. AC (or 802.11ac) provide faster WIFI speeds. The higher the ‘AC No.‘ the faster the router. It will likely have more user features. NOTE: The LAN cable (yellow here, can be other colours) generally goes from UNI-D 1 on your Sky Muster Modem (NTD) to the WAN input on the router (usually the yellow socket). What is the nbn Sky Muster Educational Port ? A Sky Muster Education Port is a dedicated port in the nbn modem (NTD) , specifically designed for distance education and home school students. The port enables each eligible student to access a set amount of data for education. Who can access the port & how do I apply? As each State and Territory Government provides distance education services and funding according to their own policy commitments; pricing and subsidy arrangements for users will be a matter for States and Territories. Prices will be set by individual ISP’s (providers) in consultation with nbn and the state/territory government. Which provider will I have to contact? This will be entirely dependant on which state you live or school in. You may have a different provider to the provider you use for your home connection. Need your Student ID to access the port. You MUST apply for Sky Muster with a provider FIRST. Tell your provider that you also require an educational port. The education port will NOT be provided FREE of charge. 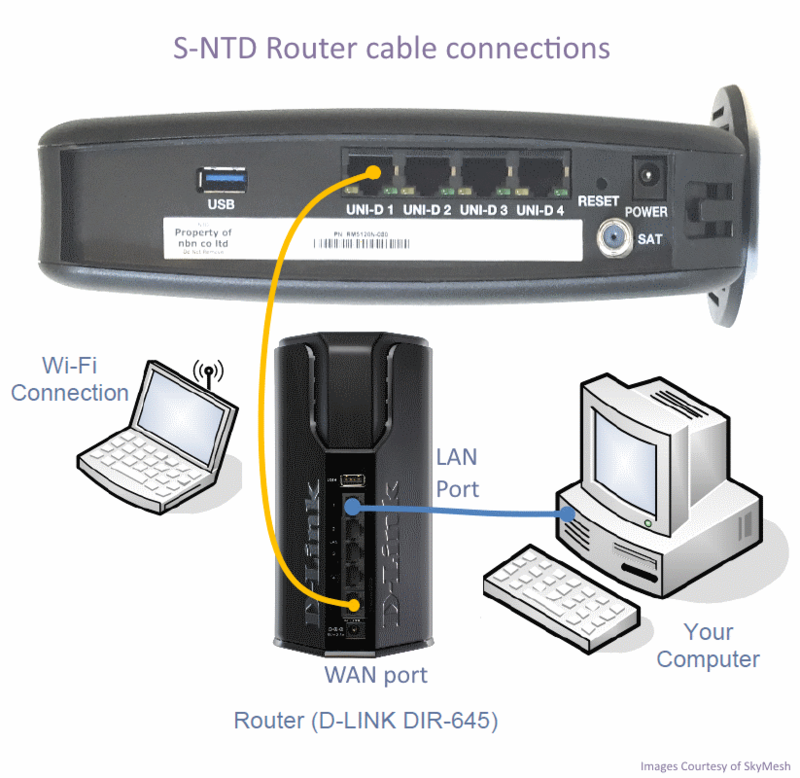 The port will be provisioned on your NTD (the NBN modem), and you will pay the cost to your provider. You will still be able to receive the broadband internet subsidy for distance education which can be used to pay for the education port. If you are a QLD Home School Family you will need your Student ID number and can order an education port direct with your chosen provider. Please note, it can take several weeks to be approved. As yet details of how the educational port will work have not been announced. From discussions with nbn, BIRRR believes that the education port for NSW distance education (Primary & Secondary) students will be funded by the NSW Department of Education. They will most likely tender for the provision of the ports and then the Department will pay for the data allowance. The connection will work as per previous connections in that the Education Department will provide the port to the distance education family through a provider of the department’s choice. As NSW are already contracted to existing Optus Satellite it may be some time before NSW students are provided with a SkyMuster NBN connection. Primary Students must be enrolled in a School of the Air (any one of 5 schools at Kalgoorlie, Meekatharra, Carnarvon, Port Hedland or Kimberley). Secondary Students must be enrolled in the School of Isolated and Distance Education (SIDE) – these students must request access, as it is not automatically offered. Once enrolled, the school Principal will request an NBN broadband service through the Department’s Customer Service Centre. The service is ordered by the Department’s Information and Communications Division through the RSP (Clear Networks). The Sky Muster service is fully funded the Department. All Department funded services will be delivered through the Education port but lessons can be delivered through any internet service. As yet details of how the educational port will work have not been announced, Sky Muster is currently being trialled in distance education classrooms in the NT, however the NT is still operating under the STARS Satellite system. For further details contact the state/territory department of education in your area. How much data can I get on the Education Port? nbn have designed the port to provide 50GB of PEAK data PER STUDENT per MONTH, to a limit of 150GB per home school room. This will be confirmed by the relevant education department in your state/territory. It will also be dependant on what types of ‘educational port plans’ each provider offers and what tenders are accepted by educational departments. Although nbn Fair Use Policies will be ‘relaxed’ for the educational port, it will be up to the providers to have the final say on the types of plans offered, this includes costs and data limits. How do I apply for the Sky Muster Satellite? Check out the BIRRR notes on applying for Sky Muster. **NB You should check current contracts with your existing provider as you may be obligated to stay with them. What equipment will I need ? Please refer to the BIRRR Preparing for Sky Muster document. Google Cloud Print (or similar) allows you to print to a central printer if you have more than one port operational on your Sky Muster connection. What if I have a separate school room ? If your school room is located close to your house or within your house, you will be able to access the education port on your home Sky Muster installation. You have one port on the NBN S-NTD (the nbn modem) for your education port and use another port for your personal use – i.e. you will have TWO plans and may need TWO routers. However if your school room is located a considerable distance from the home connection this will require a separate ‘Location ID’ to be raised with NBN and it will be subject to nbn approval. This 2nd Sky Muster connection can have ONLY the education service activated. This will be determined on a case by case basis by nbn. If you have more than 1 habitable house on your property, each residence is entitled to a Sky Muster™ installation. You can have a Sky Muster service that has only 1 port provisioned and this port can be JUST the educational port (this will be the case for school rooms located some distance from the home NTD) and will be determined by nbn on a case by case basis. How did the Education Port come about ? Late in 2015 the Federal Government set nbn the task of developing a dedicated port for education for use with the new nbn Sky Muster Satellite. nbn worked with State and Territory education departments to develop an ‘Educational Port’ which is delivered over a dedicated port at the remote user’s home via Sky Muster. This port was designed specifically for distance education and home schoolers, however future uses could include health and emergency services. You can read more about the announcement here. What is the Distance Education Working Group? In 2015 the Government established a Distance Education Working Group consisting of the Federal Department of Communications and Department of Education, executives from nbn Satellite team, Isolated Children’s Parents’ Association (ICPA), and State and Territory Education Departments. The Distance Education Working Group was formed after a BIRRR discussion with Paul Fletcher who was then the Parliamentary Secretary to the Communications Minister of the time (Malcolm Turnbull). The group meets regularly to discuss how to best meet the needs of remote students. You can read more about the need for such a group here. 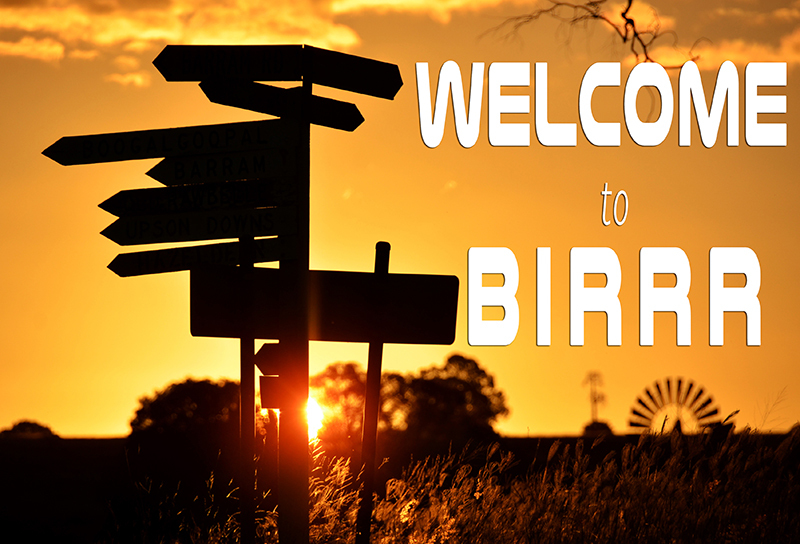 * Prepared for BIRRR by Kristy Sparrow, images by BIRRR members & John Kitchener. The information supplied is correct to the best of our knowledge as of 29/8/18. For further details please check with your education department and provider. Are you ready for Sky MusterTM ? Once you have ordered your Sky Muster service (with your provider) the below steps will walk you through how to prepare for your installation. You can check out the nbn Guide on How to prepare for your Sky Muster Installation here. Most Sky Muster dishes are more compact than earlier satellite installations and more like a large Foxtel dish. Customers don’t have much control over dish installation – nbn will allocate (at the time of order) which dish your premises will get, determined for your location – although you can suggest to installer WHERE generally on the roof might suit your office setup most. There are three sizes of dish; 80cm, 120cm and 180cm; and two transmitters’ (TRIA’s); a 3W and a 6W. That makes six possible combinations. Well over 90% of premises will get the 80cm/3W combination. The three dishes have different mounting capabilities. The 80cm can go on a wall, on a tin roof or on the gutter of a tile roof. The 120cm can go on a wall or on a tin roof. The 180cm is a pretty special size that won’t be used much, but it’s a non-penetrating ground mount. 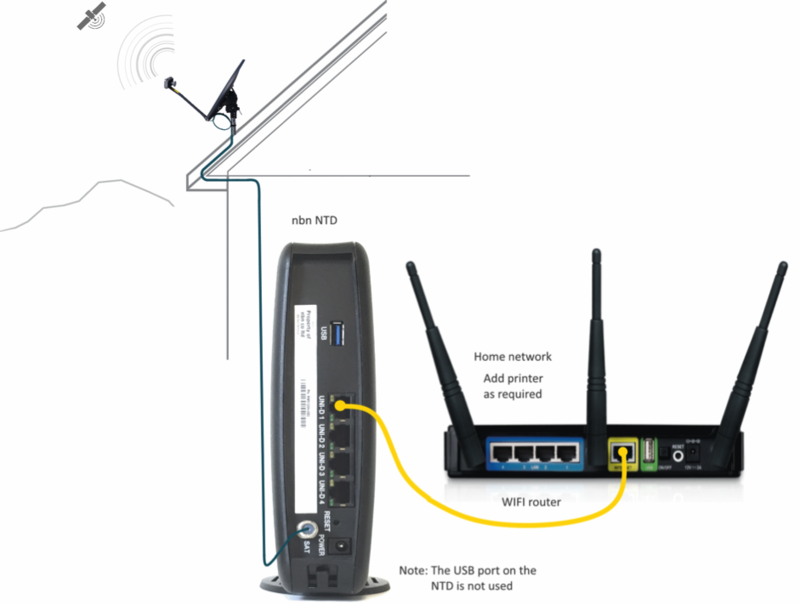 This schematic of a typical Sky MusterTM installation shows the NTD and a WIFI router. The installer is responsible for installing the dish on your roof and the nbn (NTD) box in your house. They are NOT responsible for connecting your router and home network. The Sky MusterTM installation may be an opportunity to rethink how your existing home network is configured and where the key equipments are located. Is your current modem in the best location? Is it handy to your WIFi router? Is the WIFI router in the best location to provide coverage throughout your home? – The provisional maximum cable distance from the Sky MusterTM satellite dish to the Network Termination Device (NTD) is 50m. – The nbn™ standard practice is to wall mount the Sky MusterTM NTD to keep it out of the way of damage, tripping hazard etc. – The NTD must be adjacent to a power socket. – A special blue coloured, single coaxial cable from the dish will terminate at a wall plate. – The Sky MusterTM NTD consumes around 40W continuous and is quite warm/ hot to the touch. *Before making changes to your home network, always talk to your provider and follow their advice. See the BIRRR document on Voice Services over Sky Muster. You should keep your existing landline as this service will continue to be maintained for Sky Muster customers as part of the Universal Service Obligation. You may find that keeping the landline for incoming calls only and using VoIP for outgoing calls may be a useful cost benefit compromise. Two phone services for less than the price of one. SKY MUSTER ‘EDUCATIONAL’ NTD PORT. Who you will deal with? A: The Education Port on Sky Muster differs in each state, depending on your department of education policies. A specific ‘education’ port is available for students who are home schooled or enrolled in an approved school of distance education. Availability differs in each state. BIRRR advises you to check with your state’s Department of Education regarding your eligibility. Additional routers and equipment may be necessary to access the education port. Your RSP may assist with the initial service installation, router provisioning and equipment configuration. You will need a student ID to access the port. Further information is available in the BIRRR Document What is an Educational Port. How Do I Get nbn™ ? 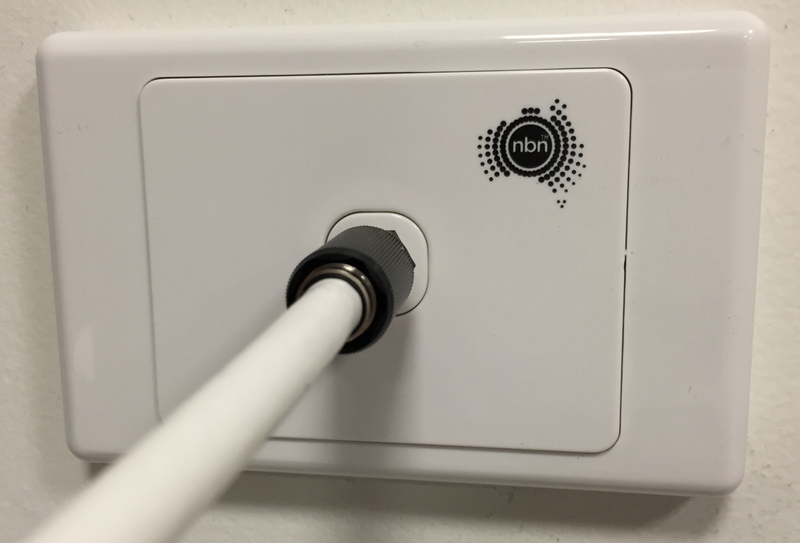 Did you know EVERY Australian residence will be able to access some form of nbn™ by the end of 2020 ? Every Australian residence will be able to access some form of nbn™ – fixed, fixed wireless or satellite. nbn™ are a wholesaler for the service, they sell to providers who then sell to the public. At BIRRR headquarters we spend a lot of time researching the facts for our many members. We have noticed lately some confusion over the release of the new nbn Sky Muster Satellite service. The single most important item to remember is to research plans and providers, don’t stick with an old plan just because you have been with that provider for years. Sky Muster Providers are listed here. To help choose an nbn provider check out the BIRRR Tip Sheet. To compare Sky Muster providers – see our Sky Muster Plan Comparison. How do you find out what type of nbn™ you will be getting at your address ? STEP 1. Check your address on the NBN Rollout Map. The map should state what nbn technology your address is mapped for. If the pin on the map is not your actual house, go to Step 2. If you are close to purple shading or have line of sight to a nbn Fixed Wireless tower (and not in purple shading), go to Step 2. If your address looks correct, click on the arrow to find out if your residence is ready for service and which providers you can chose from. When you contact a provider you will be given an install date for an nbn technician to come and install your equipment. STEP 2. If you find your address does not display or is incorrect on the nbn Check your Address site you can contact nbn directly via email – info@nbn.com.au or phone 1800 687 626 and ask for your address to be fixed up so that you can order a service. If you have any difficulties or think you are eligible for a different nbn technology, BIRRR can assist via our desk check process. Please note, while all care has been taken in compiling BIRRR documents, we recommend that you check with nbn™ or your provider regarding your connection. SKY MUSTER PLANS BETTER FOR THE BUSH, BUT FOR HOW LONG? Bush broadband to get a light shower, but no real end to #DataDrought predicted. After a long wait, Australia’s bush broadband users can finally get a look at nuts-and-bolts information for the new Sky Muster satellite with the release by nbn co of the Satellite Fair Use Policy… and it confirms their expectations. Whilst they were hoping for a widespread soaking of data, the announcement of plans by nbn co for the Sky Muster satellite has provided ‘a light shower’ rather than long-term resolution of predicted data shortfalls. “With years of dealing with almost non-existent speeds and very low data limits, rural regional and remote Australians have been looking hopefully to Sky Muster as ‘The Answer’ to their internet woes,” said BIRRR chief admin, Kristy Sparrow. The maximum plan (issued by nbn co to retail suppliers) will be 75Gb Peak data usage, peak & off peak data limits will be set by providers. The Sky Muster Satellite is expected to be available for use by customers in four months time (April 2016). There are 200 ‘trial sites’ currently being installed for Sky Muster by nbn co.
“While this (announcement) is better that we currently have, it by no means covers what data needs could be in a year, two years time, let alone another decade,” said Ms Sparrow. The maximum nbn co deal of 150Gb (total) will see users speed limited if they breach the plan limit over a 4 week rolling period. The nbn co Fair Use Policy has severe penalties (for the service provider) if a user goes over the 150Gb in any 4 weeks (not necessarily their billing period). This will impact plan pricing and tiers as no provider will want plan limits breached. nbn co considers that 75Gb or more of data usage during Peak hours in any four week period constitutes a breach of its Fair Use Policy AND 150Gb or more of Data Usage in any four week period (Peak or Off Peak) also breaches the Fair Use Policy. Everything is app or internet dependant these days – from mapping and management of properties, to tracing cattle movements and payment of bills and accounting needs. That’s not even taking into innovative farming technology, social, health or education requirements”. The BIRRR team were also disappointed to see off peak times announced as 1am – 7am and hope that nbn co and providers continue to investigate innovative ways to use off peak data allowances. “The majority of members feel that these times are virtually unusable and as such the data will not be able to be accessed,” Ms Sparrow said. BIRRR were however thrilled to see details of a second port for distance education users released, details are still to be confirmed however the port is expected to provide distance education students with a 50GB per student data allowance (to a maximum of 150GB per port), as well as expected priority of access to Skymuster. This is fantastic news for primary and secondary students and we hope tertiary students can be included in the near future. “All in all, whilst there has been some improvements, we are still going to have inequitable service and costs when compared to metropolitan areas,” Ms Sparrow said. Speeds are expected to be better than current connections, with 25/5Mbps touted by nbn co. Current BIRRR survey data shows, bush broadband users endure speeds below 4/2Mbps (and often less than 2Mbps). As information and plans become available, the BIRRR team will post it to their website: www.birrraus.com.au as well as the Facebook page.